In the past, interior décor involved picking the right furniture and some flowers. This was the only way to transform your room from a bland one into one worth a magazine spread. Now, you have various alternatives for the transformation of a place into one that will suit your desires and have a wow factor. One of these is painting. When property owners think of art, they assume that this means using a brush and the right can of paint. This painting technique involves the use of a literal sponge or paint roller for the addition of dynamic texture to your walls and ceiling. Sponging sounds easy to execute, but expertise is essential to get the ideal look for your sponge. Indiscriminate application of the sponge will only leave your room looking like a poorly done doodle. If you want a subtle effect for your room, the painter will use the same color family for your glaze and base colors, while different color groups will be used for the base and glaze colors if you want a bold effect. This is also known as the broken finish technique and is used to add an authentic antique charm to your room and make it feel weathered by time. It is the ideal choice for those looking for an old world room décor. A translucent glaze is first applied over a different base color using feathery brush strokes to generate a soft and mellow texture. Color washing works perfectly for master or den suites, family rooms, and kitchens. This is a technique of layering various tinted glazes over base coats to give your ceilings and walls a real marble look. Marbleizing is also used for enhancing the appearance of picture frames, tabletops, and fireplace. The painting process starts with the priming of your surface, the application of a marble color using small roller applicators, and the implementation of a glaze using a mini roller to give a crystalline shine. This is used to generate a weathered and old leather look. A bunched up or twisted rag is used to roll the paint on your walls or ceilings to create a mottled effect. Rag rolling is used for the application of various designs without encroaching too much into your existing plan. You do not need to invest in costly antique paintings and other elements touted as the best to change the look of any room. 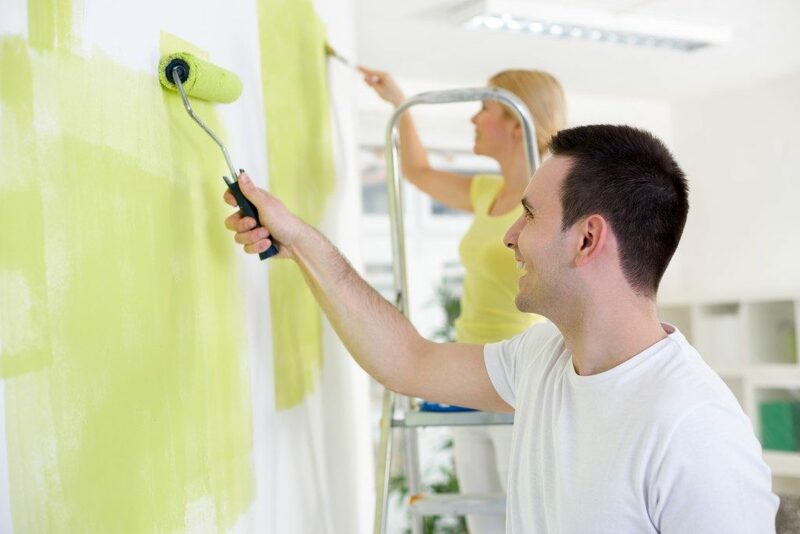 The given painting techniques are currently the go-to solutions for all property owners looking for a way to make their buildings stand out. Fortunately, they are not as expensive as other décor elements. As such, you should not think of handling them as a DIY project to save a few bucks. More often than not, you will only compromise the integrity of your walls and ceilings and get an imperfect look without professional painting. PrevPreviousKids and Sports: Why Get Children Interested in Sports?